German Jewish leaders warn that all German institutions should take extra precautions following ax attack in Wurzburg. "[We] are just as concerned about such attacks as are non-Jews here," Josef Schuster, head of the Central Council of Jews in Germany, told JTA following the Monday night attack, which left five people injured, including four members of one family visiting from Hong Kong. Two of the victims are in serious condition. The perpetrator, a 17-year-old Afghan refugee, was shot dead by police. He reportedly had shouted "Allahu Akbar," Arabic for "God is great," before launching the attack. 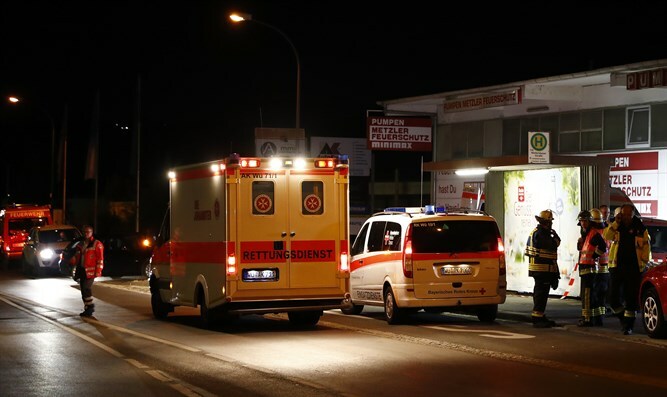 The gruesome attack shows that an "early warning system" and cooperation from Muslim groups in Germany are urgently needed to root out Islamic extremism, Charlotte Knobloch, head of the Jewish Community in Bavaria and Munich, said in a statement issued Tuesday. Such terrorism "points to the urgent need to focus on integration" of refugees from Muslim lands, said Schuster, who lives in the Bavarian city of Wurzburg. More than 1 million people from war-torn countries -- mostly Afghanistan, Syria and Iraq -- have sought asylum in Germany in the past year. Deidre Berger, head of the American Jewish Committee's Berlin office, said there was particular concern about "more than 100,000 unaccompanied minors" among the new refugees "whose lives are uprooted" and who have expectations of life in the West that may not be fulfilled. "They are highly susceptible to the easy answers of radical Islamist ideology, which empowers them to be a hero instead of an underdog," Berger said. "As we see in this most recent act of terrorism, it is not just the Jewish community that needs to be vigilant against future acts of terror." Though this attack may highlight fears about radical Islamists slipping in with genuine refugees, "It's not OK to blame or fear all refugees because of the act of one," said Schuster, who has backed Chancellor Angela Merkel's safe haven policy while urging vigilance.